The beautiful countrside of Sussex is full of scenic cyclying routes and Haywards Heath offers a great base to begin your journey with its central location. Stunning vistas, quiet country lanes, challenging South Downs National Park terrain, 1066 country and seafront promedages are some of whats on offer to cyclists in Sussex. There are a wealth of cyclings clubs catering for time trials, racers, family and friendly riders or beginners. The Greater Haywards Heath Bike Ride is a charity ride that began in 2010 and has now grown to enormous success. It is a great way to raise funds for charity while taking part in a fantastic family oriented cycling event. 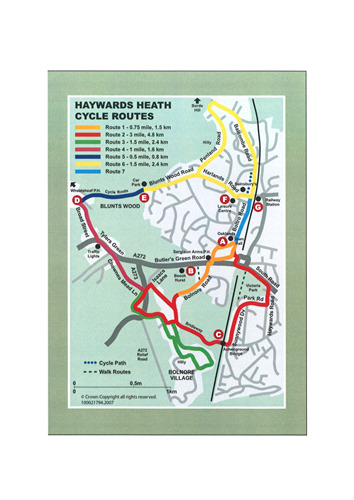 Mid Sussex District Council has produced a leaflet suggesting seven cycling routes in Haywards Heath. To view or download this leaftet, please click here. 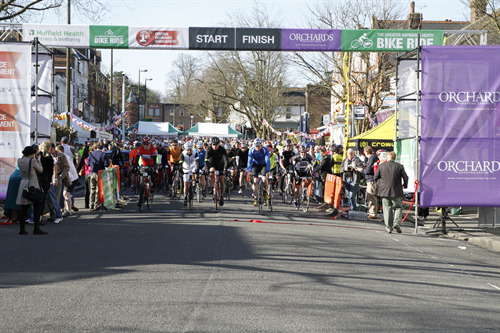 The Greater Haywards Heath Bike Ride begain in 2010 and has now grown to great success. The event features four great routes through the Mid Sussex countrside - 11 miles, 21 miles, 48 miles and 73 miles - mixing family fun routes with tougher challenges. To view more details on the ride, please click here. For more information on this cycling event, please click here. 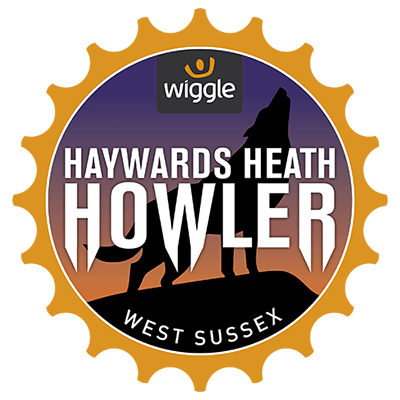 Now in its seventh year, the Wiggle Haywards Heath Howler has gained a reputation as being one of the Super Series’ toughest events on the calendar, making it a haven for cyclists in the South of England and beyond for one great test. Thankfully there are three routes to choose from, so if you find high elevations a little daunting, opt to cycle the short route. You won't be disappointed. 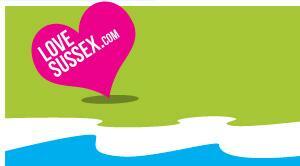 ​​ Love Sussex have produced a fantastic guide to cycling in Susses. To access this guide, please click here. West Sussex County Council has developed a cycle journey planner and produced maps of routes of where to cycle in West Sussex. To access this page, please click here. Every Saturday & Sunday there are two club runs starting in Crawley and one from Haywards Heath on Saturdays. Additionally there are mid-week training rides from both locations. ​Social Club suitable for people who simply want to ride and bike and meet people. Road rides every Sunday morning and Wednesday evenings with occasional on and off road rides on Saturdays. 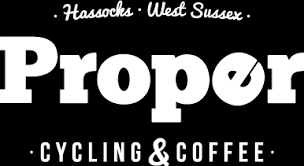 Rides leave from Lewes and Proper Cycling & Coffee in Hassocks, West Sussex. All rides include a Coffee and Cake Stop and Wednesday evening rides end in the pub to encouarage friendships. Active cycling club for people who enjoy cycling for pleasure, fitness and sport. 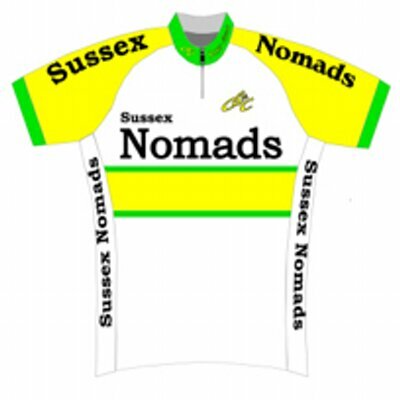 The Sussex Nomads can trade its history back to 1948 when president, Alan Limbrey first took part in club cycling. They ride in green and yellow jeseys taking in the beatiful sussex countryside and have competed and won many team and individual races as well as Sussex Champtionships. Club runs take place every Sunday, taking off from Ditchling Village Hall and all cyclists are invited to join them. Destinations and routes are posted on the clubs website and the first Sunday of each month is a 'Come and try it' ride for new riders! Group rides take place on Tuesdays and Thursdays, plus a Saturday morning ride. All are welcome although the standard is fairly high! Eastbourne Rovers is a long established friendly club that encourages cycling for all at any age or ability. From social rides, to racing or touring, there’s something for everyone from complete novice to national champions. Members compete in everything from Time Trial, Road, Track, Mountain Bike (MTB) or Cyclo-Cross racing and participate in Audax, Sportive or Reliability Trial events. Others just enjoy being part of the club and getting out and about on their bikes with like minded people – the club caters for all sorts whatever their level of ability or interest. The club is run by members for the benefit of members so get involved, join in and help make others feel welcome too! Based in West Sussex in the UK, the club has been in existence since 1950. Club members enjoy and compete in all elements of cycling, road racing, time trialling, mountain biking, winter training, cycling trips to the continent and of course equally importantly the social side too. Club members meet every Thursday evening from 9pm onwards in the Open Arms in Station Approach, East Grinstead. Saturday club runs are run every Saturday morning and the rides are open to anybody with a road bike (not a mountain bike), there is no fee involved and you don’t have join the club! Our club is welcoming to all types of rider, from leisure cyclist to competitive racer. Seven groups meet at the Carfax every Sunday morning, each with different speeds and distances in mind. Horsham is surrounded by fantastic Sussex countryside and quiet roads. The club is a great way of discovering new routes, making friends and perhaps opening yourself to new cycling challenges. You can join us for a ride or two without being a member, why not give us a try? InGear Cycling Club is a road cycling club based in Uckfield and Forest Row, East Sussex and competes in international, national, regional and local cycle-sport events. We welcome riders of all abilities to come and join our cycling club. Unlike other clubs, we don’t have set rides each week, we leave it to the members to arrange the rides through the club forums. Lewes Wanderers is a cycling club based in East Sussex. The club offers cycling for all abilities ranging from Sunday club runs through to time trials and road racing in the summer. The club also meet once a month for a social evening in Waldron. Non members are welcome to join any of our rides, which are run at a reasonable pace. Please come suitably equipped for the weather, for your own and your fellow riders comfort. We are a club for road and off-road cycling enthusiasts based at the foot of the South Downs in the village of Storrington, West Sussex.